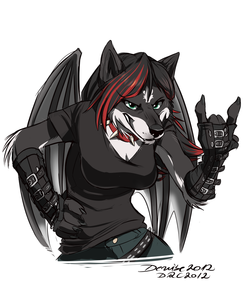 My name is Zita, I am a female furry artist from germany. I am 26 years old and I am a graphic designer currently looking for work. In my free time I like to work on various artistic projects, as drawing and art in general is one of my main hobbies. Other than that, I enjoy playing video games a lot and I am also very interested in the process of making those. I am interested in programming as much as I am in 3D-modelling and concept art. Other things I am very fond of are TV-shows (like My little Pony, Steven Universe, Sherlock, Game of Thrones and Hannibal), travelling and good food.